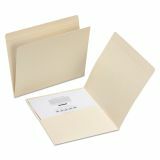 Smead File Folders, Straight Top Tab, Letter, Manila, 50/Box - Convenient pocket folder holds documents secure in folder without hole punching. 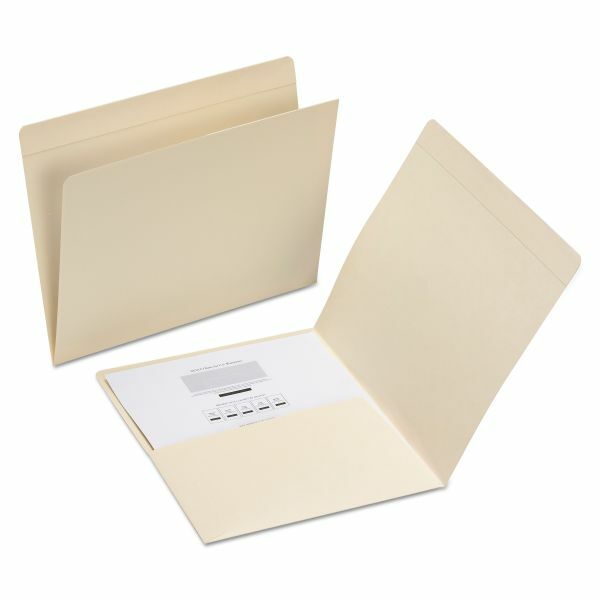 Features a heavyweight manila folder, reinforced top tab and 5-3/4 pocket inside front panel for diskette/CD storage. Folder provides ample space for many documents."